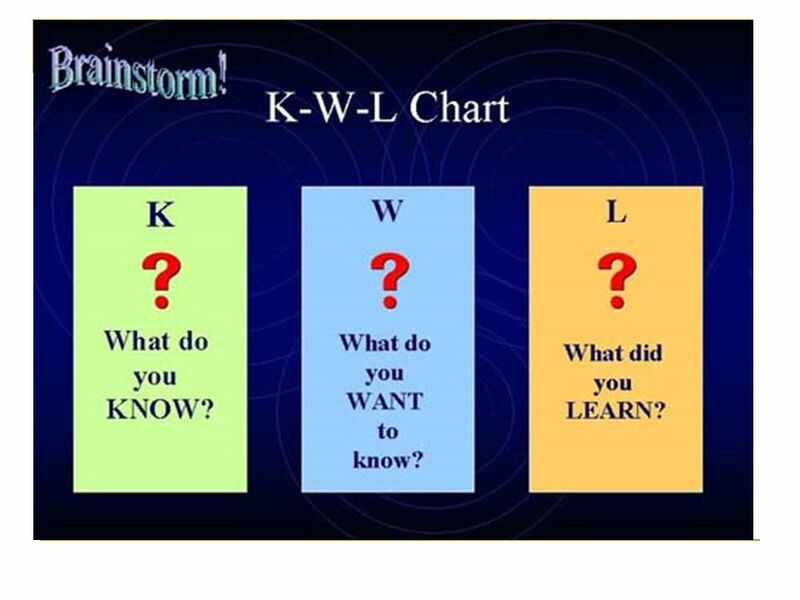 By Rizalina G. Gomez, Ph.D..
1 By Rizalina G. Gomez, Ph.D.
2 What Is K-W-L?. 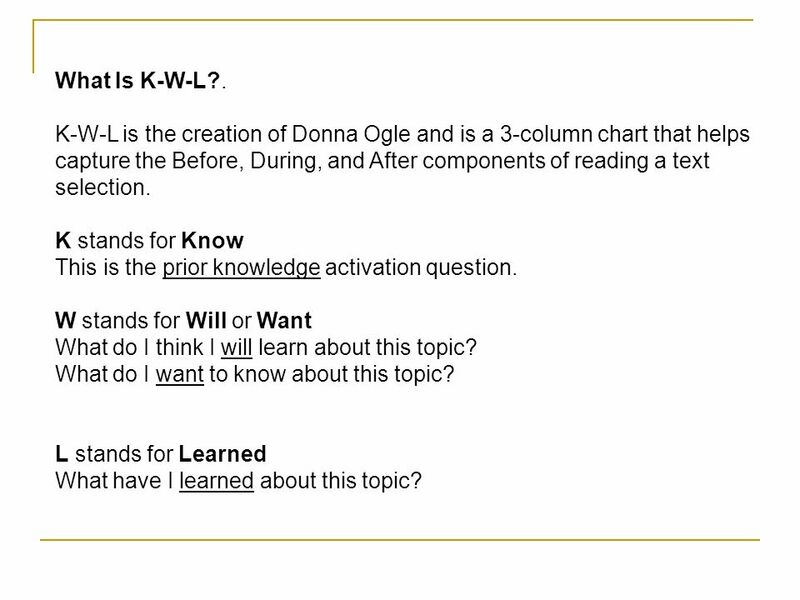 K-W-L is the creation of Donna Ogle and is a 3-column chart that helps capture the Before, During, and After components of reading a text selection. K stands for Know This is the prior knowledge activation question. W stands for Will or Want What do I think I will learn about this topic? What do I want to know about this topic? L stands for Learned What have I learned about this topic? 6 3. 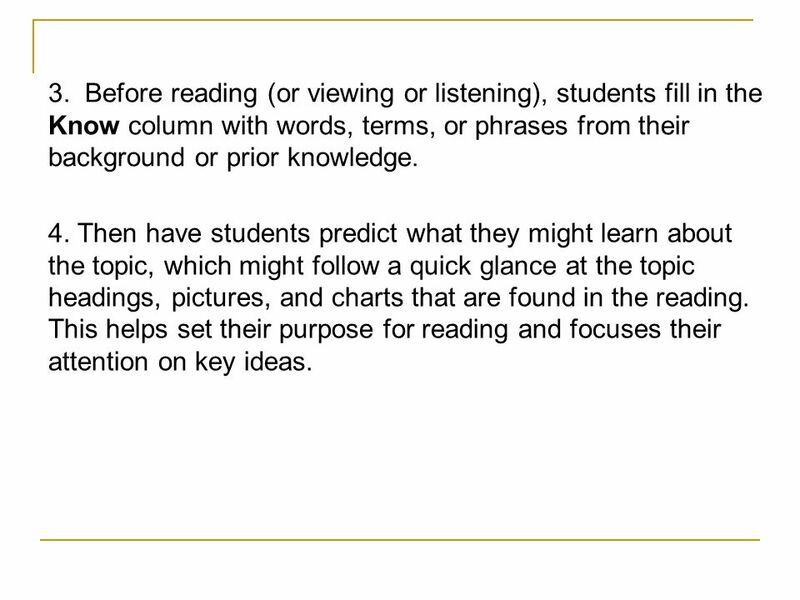 Before reading (or viewing or listening), students fill in the Know column with words, terms, or phrases from their background or prior knowledge. 4. 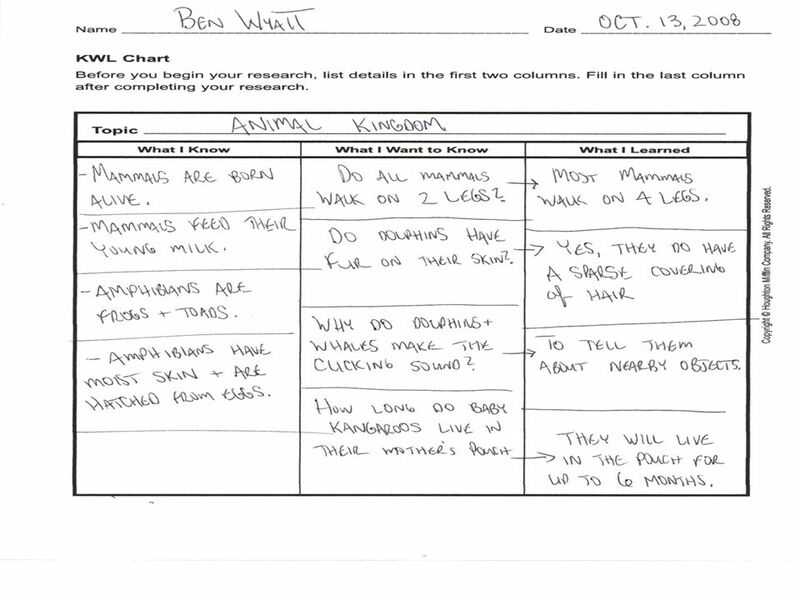 Then have students predict what they might learn about the topic, which might follow a quick glance at the topic headings, pictures, and charts that are found in the reading. 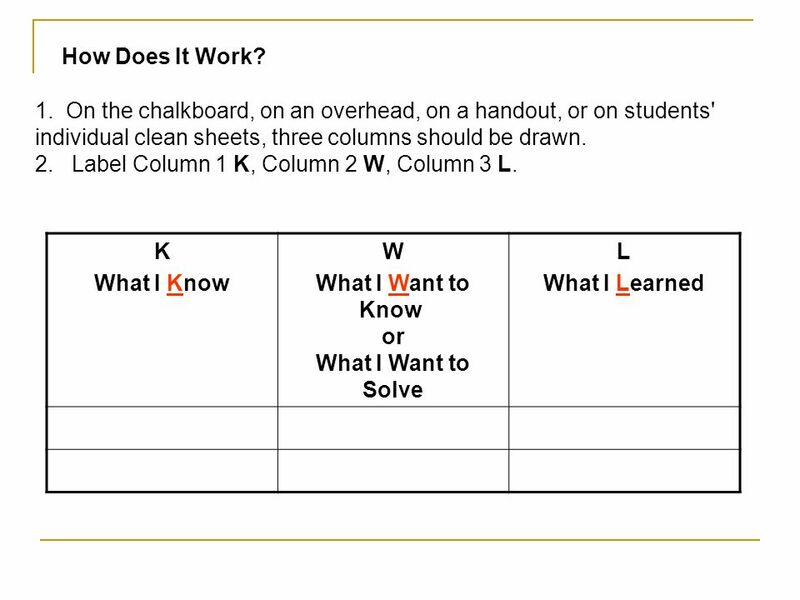 This helps set their purpose for reading and focuses their attention on key ideas. Download ppt "By Rizalina G. Gomez, Ph.D.."
Reading Your Science Textbook Strategies for comprehension. K-W-L Charts Maggie Demarse. 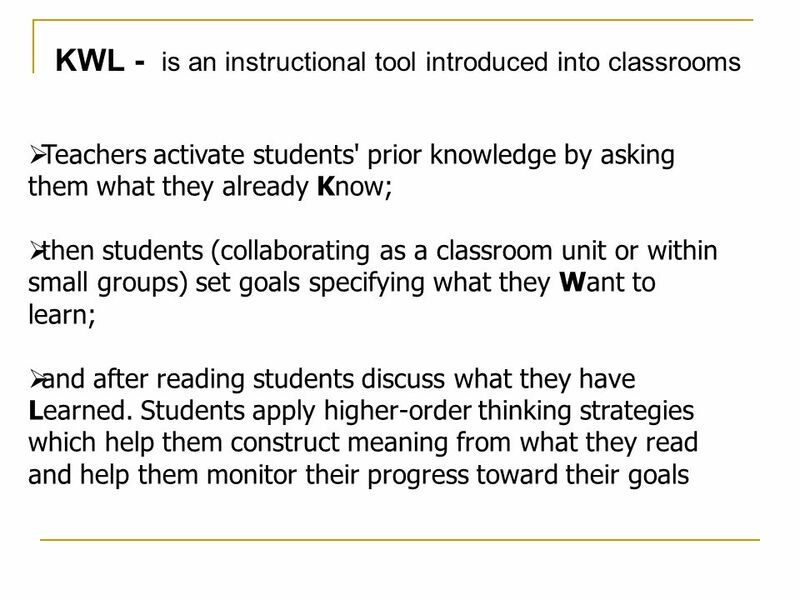 Brief Description of the Strategy  K-W-L is an instructional strategy for aiding students in establishing a framework and. First Colonial High School Content Meeting February 6, 2012. 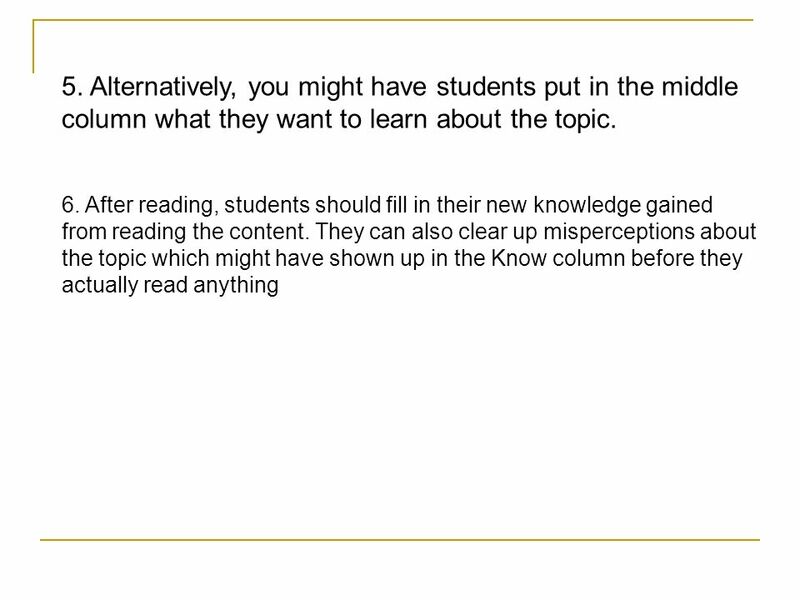 Scaffolding Students’ Comprehension of Text Article written by Kathleen F. Clark & Michael F. Graves Summarized by Kristine Barrett. Reading in the Curriculum. Reading Fluency General Discussion  What is a fluent reader?  How do you help your students become fluent readers? Presenter: Darlene Breaux.  License Plate activity  Each participant gets a license plate template. Put the name of the state you were born in at the. Ticket Out the Door: What does the acronym THIEVES stand for? How can I help my child with reading at Home? 1. Motivating Kids to Read Studies show that the more children read, the better readers and writers they. How to Improve Reading Comprehension. The purpose of reading is to connect the ideas on the page to what you already know. Beacon Media Supporting Christian schooling worldwide Inquiry-based learning. Inquiry Inservice Day 4. 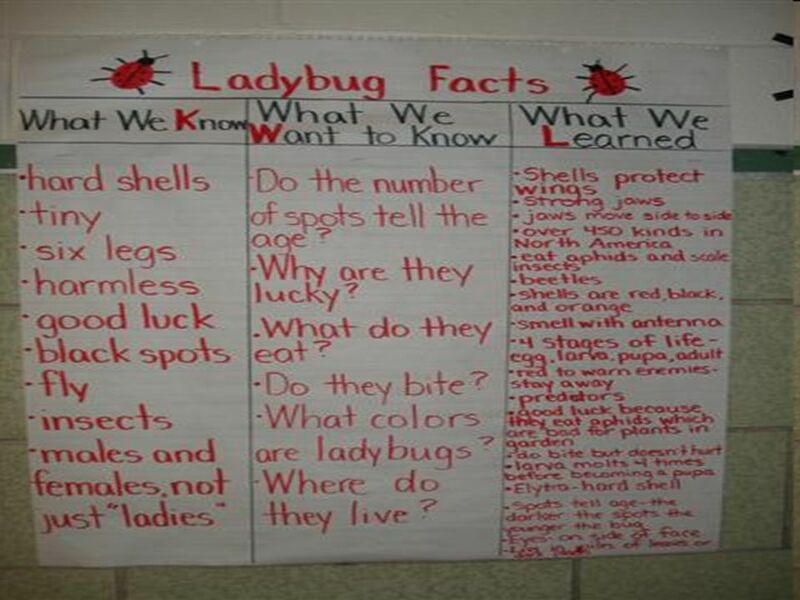  Reciprocal Teaching is a guided reading comprehension strategy used in student directed groups of four.  The strategy fosters. Reading a Science Textbook. The Science Textbook Do you find yourself overwhelmed when reading your science text? Is your textbook intimidating? Try the. Activating Prior Knowledge. Lifelong Literacy Strategies “Explicitly teaching strategies that proficient readers use when trying to make sense out of.